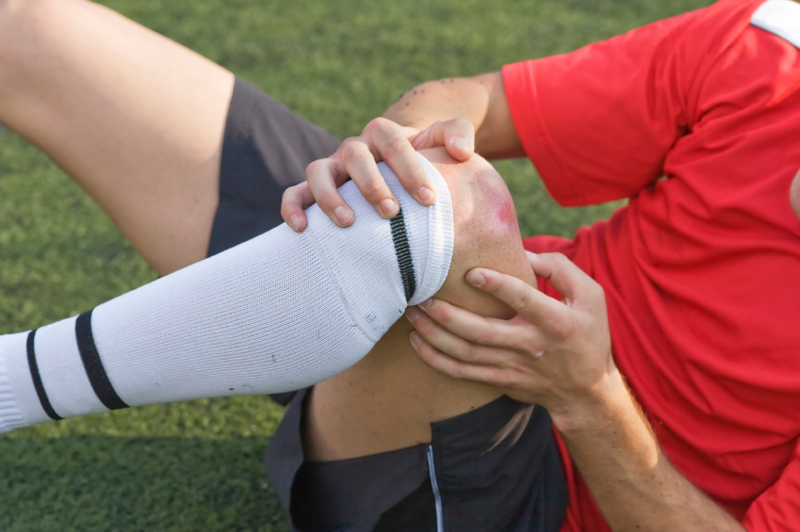 Consult with a Physical Therapist if you injure your knee. Most ACL injuries that need reconstructive surgery respond better during the post-op period if a bout of Physical Therapy was completed before surgery. ACL reconstruction surgery requires a great deal of dedication to Physical Therapy rehab or the results are not favorable in most instances. The average return to full “action” and activities is 9-12 months or longer. Follow precautions that are provided to you by the surgeon or Physical Therapist in order to avoid a re-injury or hinder the rehab efforts progress. An ACL injury is debilitating and requires surgery as well as pre- and post-op Physical Therapy for restoration. Anterior Cruciate Ligament (ACL) injuries are common, occurring in sports and almost all walks of life. If the ligament tears, it cannot heal on its own. The ligament has to be reconstructed surgically to regain the stability of the knee joint. With a proper rehabilitation program, patients can expect to return to pre-injury activities in about a year. The ACL provides static stability to the knee joint and helps to restrain the knee from rotating and translating anteriorly too far. The knee joint consists of the distal Femur and proximal Tibia. The Patella sits in the front of the joint and acts as a fulcrum for the Quadriceps muscles to generate force. The muscles surrounding the joint provide dynamic stability and the ligaments static stability. There are ligaments on the outside of the joint (extra-articular) and on the inside of the joint (intra-articular). Ligaments on the inside of the joint do not heal themselves. The Anterior Cruciate Ligament and Posterior Cruciate Ligament act like two nails holding two boards together end-to-end. The two nails do not allow the boards to “spin” upon each other, but if one nail is removed the two boards will rotate and spin out of control. An ACL tear is like the nail being removed. If this scenario occurs often, the articular cartilage and the menisci can be damaged and be the initial onset of arthritic changes in the joint. It is imperative for the knee to have adequate muscle support to provide dynamic stability to the joint. There are very few people who can continue to participate in high-level activity without an intact ACL. Reconstructive ACL surgery is performed utilizing many and various techniques and graft choices. The surgery can be done “open,” arthroscopically or arthroscopically assisted, and the surgeon decides how it will be performed based on the graft choice. The most common technique is arthroscopically assisted which allows the surgeon to “see” inside the joint and help to place the graft at its proper site. The patient must choose what type of graft they want the surgeon to use. The primary choices include a Patella Tendon, Hamstring or Cadaver graft. If the doctor gives the choice of “harvesting” the graft from the patient’s body, it is referred to as an auto-graft. If it comes from a cadaver it is an allo-graft. In most cases, an auto-graft is preferred due to fewer possible complications. 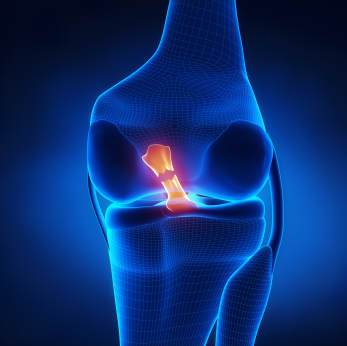 This blog will discuss the use of an auto-graft Patella Tendon or Hamstring Tendon. The Patella Tendon graft differs greatly from the Hamstring graft. The Patella Tendon has a piece of bone at either end. The surgeon will remove a “plug” of bone from the inferior pole of the Patella and the Tibial Tuberosity and the central third of the tendon. Some surgeons sew the two remaining pieces of the tendon together and others allow the “gap” to close on its own. The patient will experience pain in this area regardless of the technique used and one major complication can be Patella Femoral tracking problems several months after surgery if the rehabilitation process does not include a significant amount of Patella mobilization. The Hamstring graft consists of two tendons (Semitendinosis and Gracilis) “harvested” from the Pes Anserine area. The removal of these tendons leaves the muscle belly intact, but non-functional. The patient usually cannot notice the absence of these tendons. Post-surgery, the patient usually experiences pain and bruising in the posterior medial thigh. During the surgery, the surgeon replaces the torn ligament via drilling bone tunnels through the medial Tibia and extending into the lateral aspect of the Femor. The graft is placed in the tunnel and “anchors” are used to keep it in place. The Patella Tendon graft can be anchored into the tunnel via bone screws and the Hamstring/Gracilis graft is anchored by a “pronged barb” because it is all soft tissue. Post-operative rehabilitation is similar regardless of the graft site, but the range of motion is usually limited in the beginning when the Hamstring graft is used to protect all soft tissue graft from undue stress if the knee is flexed too far. Their doctor will give the patient specific protocols. Some surgeons require the use of a brace, partial or Non-weight bearing status, and initiation of formal Physical Therapy within the first 7-10 days of surgery. The first 3-4 weeks of Physical Therapy rehabilitation focus on reducing swelling and pain, while increasing motion and muscle action. Core exercises are a key component at this stage of rehabilitation. The range of motion is limited to 90 degrees of flexion when the graft is soft tissue (Hamstring). The patient must maintain full extension while avoiding forceful flexion. Forceful flexion could stretch or “strip” the graft out of the tunnel. Passive motion is gained over the first month with a heavy emphasis placed on maintaining full extension in the involved knee. If the patient fails to maintain extension, flexion contractures can occur quickly. A flexion contracture will cause the patient to walk with a limp for several weeks/months. As the motion and muscle action increase, rehabilitation begins to focus on building strength through resistive exercises. Activities help patient re-develop proprioception and kinesthetic sense. While the patient will incorporate open and closed chain exercises, the knee should not be forcefully extended for up to 8 weeks when performing a Quadriceps extension exercise. The final 20-30 degrees places more tension and stress on the graft site and could cause it to stretch or tear. By the third or fourth month, the patient should have regained the strength and neuromuscular activity to control and stabilize the involved knee joint. Now the patient begins easing into a range of fun physical activities such as agilities, jogging, low level bounding (plyometrics) and sport specific activities. PAIN: Pain levels are different in everyone. Patella Tendon graft sites require a piece of bone to be removed from either end. This tends to cause more post-op pain within the first several days of surgery. The patient can expect to experience pain when they are stretched and mobilized to gain motion. Pain to the touch decreases within the first 3-4 weeks. Crutches: Most patients will utilize crutches for the first 2-4 weeks. The surgeon determines the weight-bearing status. Strength and neuromuscular control must develop before the crutches can be set aside. Work: The physical nature of the patient’s job and/or the walking distances to job site will determine how quickly a patient can return to work. Most patients can return to some aspect of the job within a short time period, but if the job is physical demanding, it might not work for 8-12 weeks or longer. Having fun: Returning to sports, hobbies or activities of interest that require running, jumping or quick changes in direction can usually begin around months 5-6. It will take 9-12 months or longer for most patients to feel completely comfortable and confident. Mental rehabilitation runs concurrently alongside physical rehabilitation to help the patient regain the confidence perform demanding activities. Patients must overcome the fear that accompanies performing the demanding activities similar to those that caused the injury. If the patient has been diligent and consistent with their rehabilitation program, the knee and lower extremity should be strong enough to handle the rigors of activity within 1 year. Confidence in the injured knee should be sufficiently restored to resume at a competitive level. ACL injuries occur frequently and can be devastating to the psyche of the athlete regardless of their talent level. ACL surgery requires a thorough and complete rehabilitation program directed by the surgeon and Physical Therapist that enables the injured athlete/person to return to their pre-injury functional status.